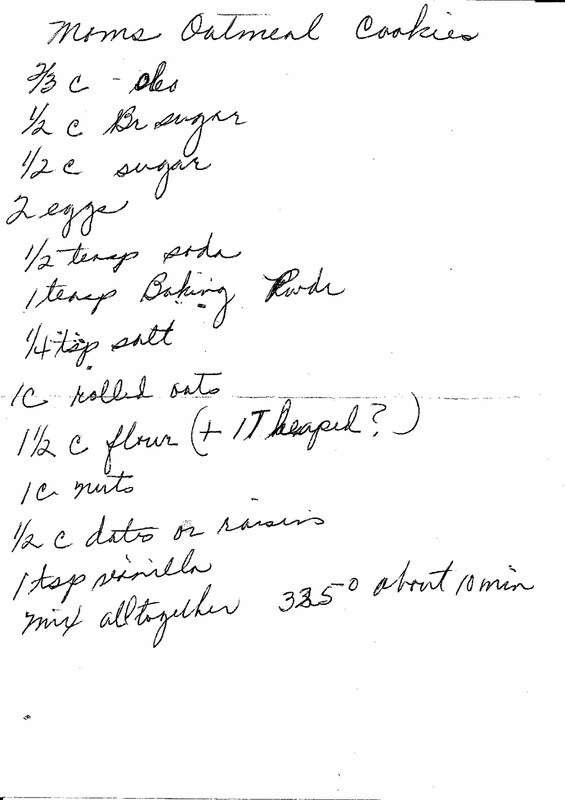 It's Friday -- and for some reason I always lean towards posting a dessert recipe on Friday. 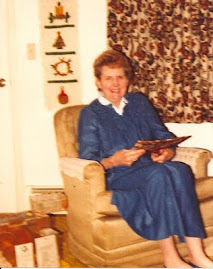 I think the "Mom" referred to here is (Great) Grandma Beal. She has another oatmeal cookie recipe in the box, but that one has coconut in it. -mix ingredients together. bake at 325 degrees for 10 min.